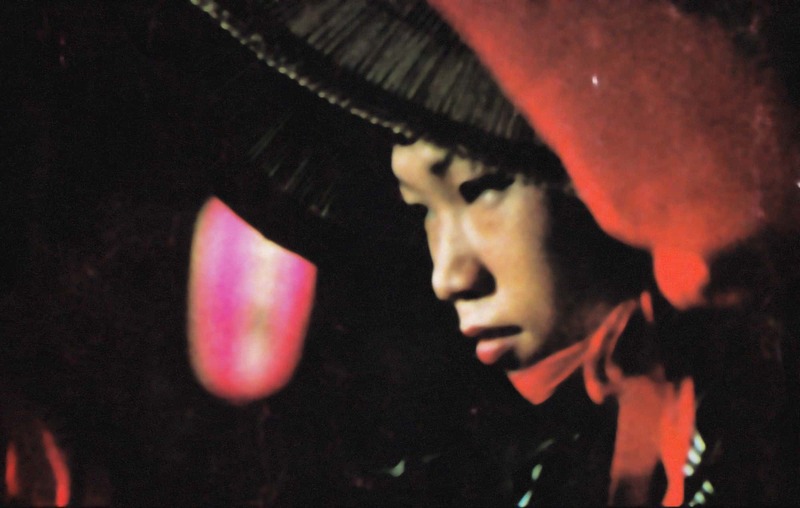 The Whitechapel Gallery presents the first UK retrospective of visionary French filmmaker, photographer, writer and multimedia artist Chris Marker (1921 – 2012). Marker is widely acknowledged as the finest exponent of the ‘essay film’ and is best known as the director of over 60 films including Sans soleil (Sunless, 1983) and A Grin Without a Cat (Le Fond de l’air est rouge, 1977). His most celebrated work La Jetée (The Pier, 1962) imagines a Paris devastated by nuclear catastrophe and is composed almost entirely of black-and-white still photographs, which informed the narrative of Terry Gilliam’s 12 Monkeys (1995) and influenced James Cameron’s Terminator (1984). 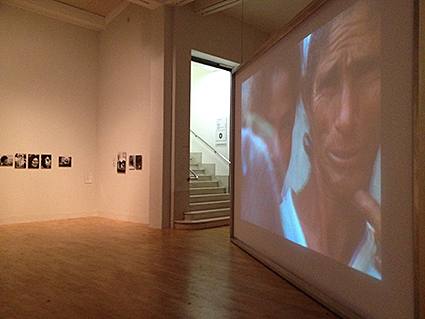 The Whitechapel Gallery will be filled with Chris Marker’s extraordinary films and photographs. 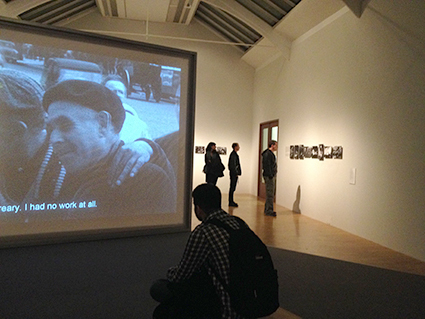 Highlights include all five of Marker’s multi-media installations shown together for the first time, rarely seen photographs, and a newly re-mastered edition of Le Joli Mai (1963), which romantically describes Paris via interviews with people in the street, interspersed with a commentary ranging from the number of hours of sunshine in May to the amount of meat and potatoes eaten by the city’s population each month. 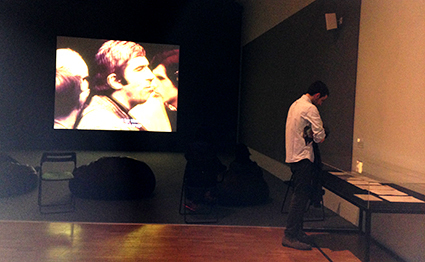 The exhibition follows key themes in Marker’s work: the Museum, Travel, Image & Text, and War & Revolution. The first space will be saturated with colour and dominated by two huge screens, cinema spaces and photographs. Visitors entering the Gallery will see a large projection of Ouvroir: the Movie (2010), Marker’s guided tour of the virtual museum he created on the website Second Life via his online avatar, a cat called Guillame-en-Eqypte, along with films and multi-media installations. The next section presents the people and places Chris Marker encountered on his lifetime of travels, with an extract from the iconic film Sans soleil (1983), which reflects on memory, images and technology and is told via letters from an anonymous woman to a cameraman, with shots flitting back and forth across the world from Japan to Guinea-Bissau in Africa. 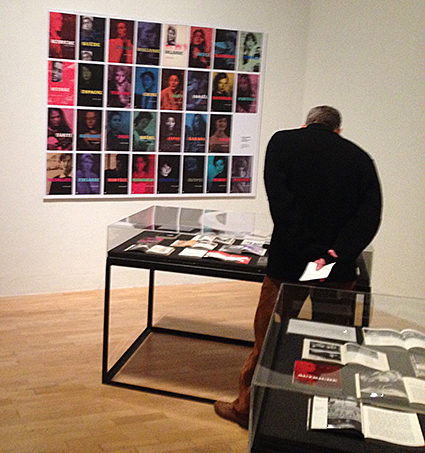 This part of the display also includes Petite Planète (1954 – 58), a series of books by Marker with texts, illustrations, graphics and photographs of countries which inspired his first ‘photo essays’, plus the UK premiere of multi-media installation Zapping Zone (Proposal for an Imaginary Television, 1990 – 94). 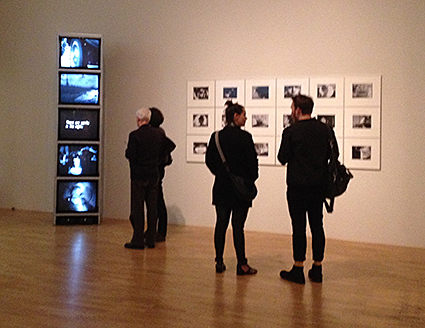 A rare version of Chris Marker’s masterpiece La Jetée (1962) with an alternative opening sequence is shown in a dedicated gallery. The exhibition continues with a section looking at the theme of war and revolution, engaging with anti-war movements from the Vietnam War in the 1960s to the Iraq War in 2003. It includes extracts from two films shot in Paris, Le Joli Mai (1963), relating to the Algerian War of Independence in the 1950s and 60s and Chats Perchés (The Case of the Grinning Cat, 2004), where Marker interviews anonymous passersby to record their everyday life. Other works are the photographic series Staring back (1952 – 2006) and installation OWLS AT NOON Prelude: The Hollow Men (2005) which is based on a T.S. Eliot poem. The exhibition ends with one of Marker’s most political films about the failure of idealistic social movements and revolutions in the 1960s, Le fond de l’air est rouge (1977) which was reedited and released as A Grin without a Cat in 1993. This important exhibition looks at Marker’s prolific career and considers his influence on contemporary British art and artists. Alongside the show, film screenings will take place at the Gallery, with work by filmmakers Duncan Campbell, Filipa Cesar and Manu Luksch, the Barbican and Ciné Lumière at the Institut Français. Talks addressing the themes of the exhibition are made in collaboration with Roehampton University and the AHRC-funded research project The Memory Network. Chris Marker (1921 – 2012), born Christian François Bouche-Villeneuve in Paris, was a prescient multi-media filmmaker, exploring the future through both digital art and via his numerous online avatars on websites such as Second Life. He was also a writer, editor, poet, cartoonist, and activist. Marker completed his first feature film Olympia 52 in 1952 and went on to direct over 60 films. Notoriously reclusive, he rarely gave interviews and refused to be photographed. A friend recalled that his Paris apartment had several televisions switched on, one with a direct satellite feed from Russia, and late in life he had glasses with a miniature camera so he could ride the Metro and photograph people. A great lover of cats, when asked for a photograph of himself he would send a picture of a cat. In his later life he adopted the online persona of an orange-and-black cartoon cat named ‘Guillaume-en-Egypte’. Chris Marker has been the subject of many solo exhibitions around the world, including Chris Marker: Retrospective at the Rencontres d’Arles de la Photographie, France (2011), Planète Marker, Centre Pompidou (2013), and Chris Marker: Guillaume-en-Egypte, MIT/Harvard (2013). The Whitechapel Gallery presentation is the first retrospective of his work in the UK. Chris Marker is co-curated by Christine van Assche, Chief Curator, Centre Pompidou, Paris, writer and film critic Chris Darke, and Whitechapel Gallery Chief Curator Magnus Af Petersens. Chris Marker will be accompanied by a fully illustrated catalogue. It includes key essays by the curators; texts by critics Raymond Bellour and Arnaud Lambert; plus the first English translations of two key early writings by Marker, an essay on Jean Cocteau’s film Orphée (1950) and his short story Till the End of Time (1947), which takes place the day after VJ day amidst a torrential rainstorm and features a demobilised soldier subject to apocalyptic visions, anticipating Marker’s most famous film, La Jetée (1962). Opening times: Tuesday – Sunday, 11am – 6pm, Thursdays, 11am – 9pm. Free.